The rustic town of Silvervale can be found just north of the Britain Swamps and east of the Desert of Compassion, and is known best for its tavern, The Siren’s Call, own by Vertinni the Green. A wide variety of food, drink and entertainment can be found there. 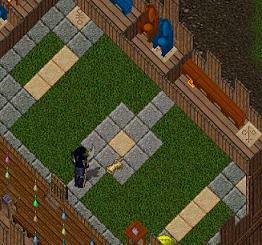 This outside courtyard spreads out in front of the Siren’s Call. It is perfect for those days when it is too nice to be indoors! 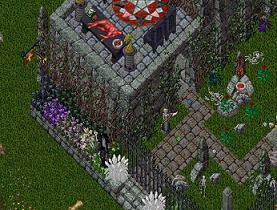 The Square holds much history, as brings such as paladins and even vampires have been known to visit! It also holds a gift from Mythndale: A Red Rose of Thanks. Currently owned by Lilith, this plot is aptly named. Darkness seems to lurk here amongst the tombs and headstones. A large tombs sits on the western end of this plot, covered in vines. A definite creepy place! A mysterious building that stands in the middle of Silvervale, none are sure of its name. Some call it the Caer Lir, because it is rumored that the stones that make up this tower were taken from the castle that fell before it. There are rumors that this place is haunted by spirits… and with the famous history of the Lir family, it wouldn’t be all too surprising. Silvervale Collection Agency Owned by: Vilanne This structure houses the financial part of Silvervale, handling the town’s taxes. The Kodobo Inn houses any weary travelers that wish to rest, and the Traveling Tailor’s Workshop will stitch any tailor’s item. Breakfast buffets start at 8 AM. Vendors can be found outside. Silvervale’s own bagball stadium, one of the finest bagball establishments in all of Chesapeake! Tournaments are held and champions rise and fall in this exciting sport. Stay tuned to see if bagball games are to be scheduled as a regular weekly event. You can even learn a bit of the history behind bagball on the first floor! 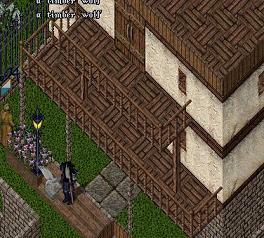 Another mysterious house that resides in Silvervale, many have attempted to figure out what had seemed to be a puzzle. However, not much is known at the moment. 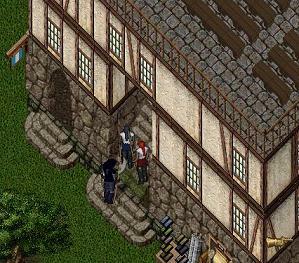 This building is home to Ilina Le Kyeteler, one of the founders of Silvervale and the guildmaster of one of the most famous guilds to have walked Sosaria: Heartkin. No one is sure, however, what is the fate of the lady. Formerly known as Vertinni’s theater, this building encases an acting area for those fond of plays and skits. However, not much is known on what will happen to the theater. For all your potion needs! The Dragon Clan Shop doubles as a shop and a residence for the gypsies that wander the Vale. The gypsies have been said to make undoubtedly supreme potions, but for a price. Love potions? Transformation potions? They may be able to help you here. Nestled on the eastern border of the cemetary, This building houses archives of intertown meetings and opens it door as a liason between the two towns. Aside from its spacious, yet cozy first floor, it boasts a rooftop bar for those less than formal meetings.